This module is designed to promote place-based learning by engaging students in scientific inquiry related to their surrounding environment. 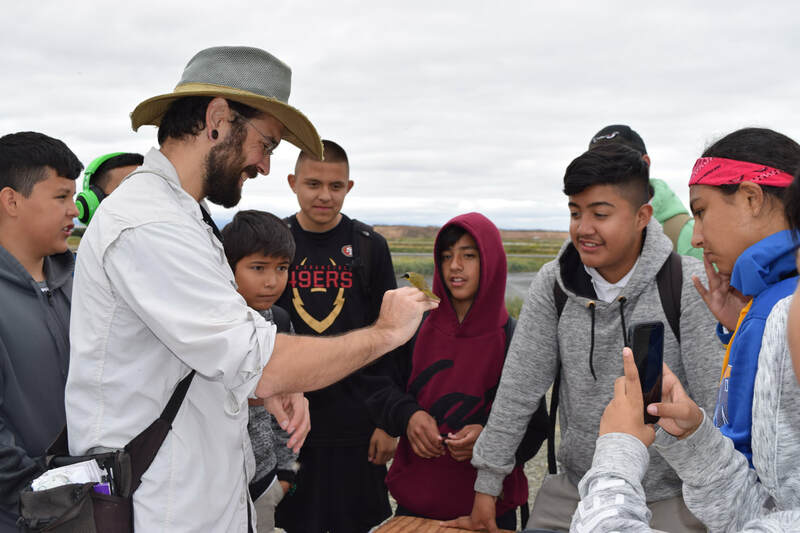 Students will analyze bird capture data collected at the Coyote Creek Field Station and investigate how environmental and human impacts can influence bird migration patterns and population trends in the Bay Area of California. Each student will focus on one local bird species to foster a sense of connection and a desire to learn. 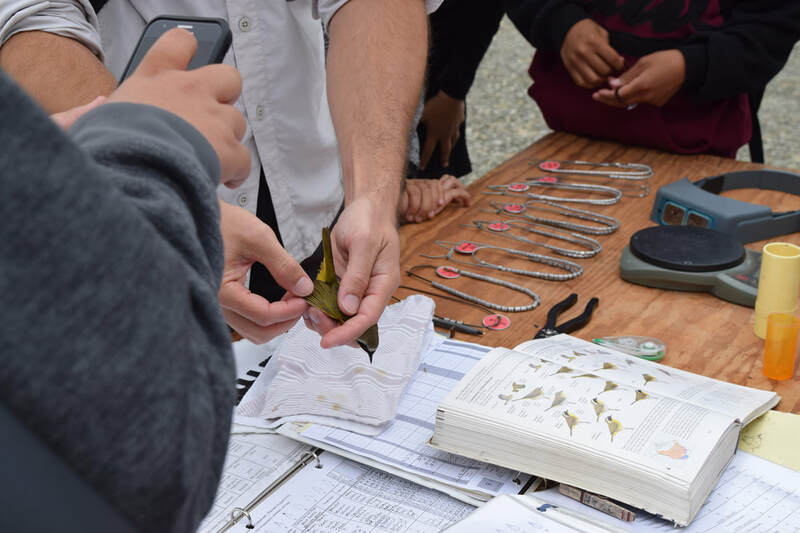 If funding is available, students will visit the bird-banding field station in order to meet local bird species, see the data collection process in action, and interface with scientists. The field trip component is an opportunity for students to inquire like scientists and share the explanations for phenomena that they generated in the classroom. The birds found at CCFS are representative of the birds students may see close to home in the Bay Area. Familiarization with birds in the area may prompt students to learn more about the ecology of their own backyards and to participate in citizen science projects. This module was developed by Amaya Kaye McKenna and Sharon Joy Huerta as part of the 2017 UCSC Doris Duke Conservation Scholars program, updated and expanded by Tonya Anderson, MSc., Jessica Kochick, Josh Scullen, and Dan Wenny, PhD. Click on the "Lesson Plan" link below to check out the lesson plans, and click here to find more resources for this curriculum. Click on this video link to see the excitement of students and teachers who used the curriculum and took a field trip to CCFS in 2018. Landbird Program Josh Scullen explains how he bands birds at the Coyote Creek Field Station (photo by Alisha Maniglia).